Reinvigorate yourself both spiritually and physically on an adventure that explores desert national parks and small towns. With spring-fed mineral pools, epic landscapes, and occasional glimpses of the desert’s creative and eccentric side, this trip will leave you energized and inspired. Landers (36mi/58km). 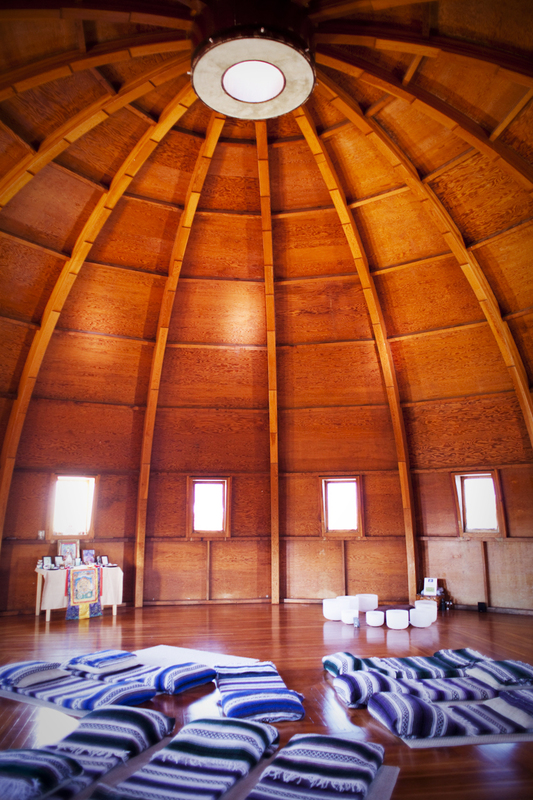 Take a healing “sound bath” at the Integratron, a domed structure said to have rejuvenating powers. Joshua Tree National Park (17mi/27km). Take a drive through the park and be inspired by the desert panorama at Keys View. Savor healthy gluten-free and vegan dishes at Natural Sisters Café (61695 29 Palms Highway; 760-366-3600). Amboy (50mi/80km). Climb to the top of Amboy Crate, a National Natural Landmark, for expansive Mojave views. Pick up snacks and souvenirs at Roy’s, a Route 66 landmark. Kelso (42mi/68km). Attend a ranger talk and see art exhibits at Mojave National Preserve’s Kelso Depot Visitor Center . Drive up Kelso Cima Road and hike Teutonia Peak Trail on Cima Dome—home to the world’s largest Joshua tree forest. Baker (63mi/101km). 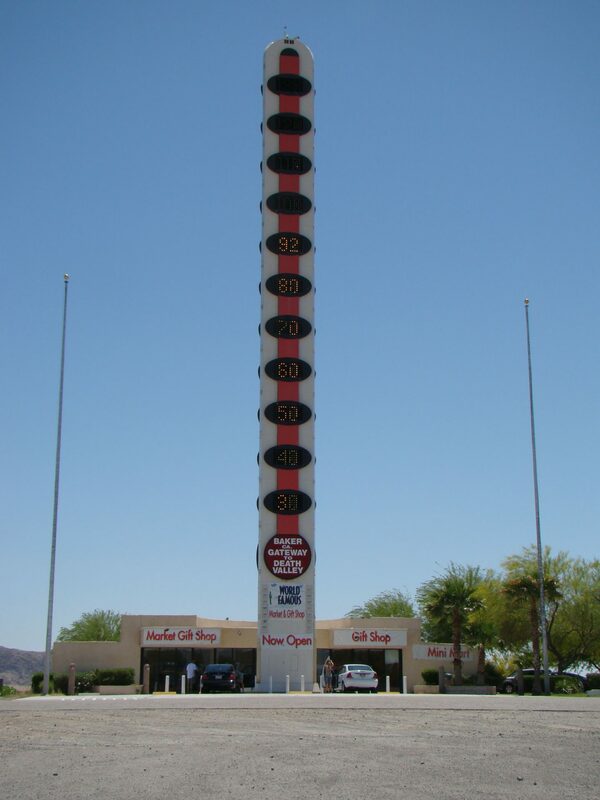 Behold the world’s tallest thermometer, then dine on gyros, hummus, and other Mediterranean specialties at The Mad Greek (72112 Baker Blvd. ; 760-733-4354). Tecopa (54mi/86km). Chill out in the hot spring mineral baths at remote and rustic Tecopa Hot Springs Resort. Fill up on fresh dates and baked goods at China Ranch Date Farm. Death Valley Junction (35mi/56km). Experience the artistic vision of dance legend and painter Marta Becket during performances at historic Amargosa Opera House. Death Valley National Park (31mi/51km). See the Lower 48’s highest peak (Mt. Whitney) and lowest point (Badwater) from Dante’s View. Wake up early for the inspiring, world-famous sunrise at Zabriskie Point.